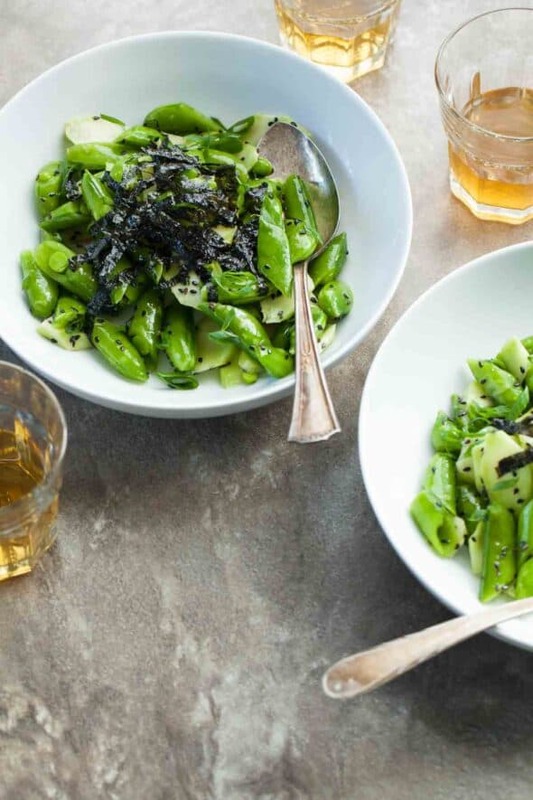 Sesame seeds, toasted nori and a drizzle of sesame oil turn fresh sugar snap peas and broccoli stalks into a special side salad. With a delicate flavor and great crunch, sugar snap peas are one of my favorite raw vegetables to snack on. 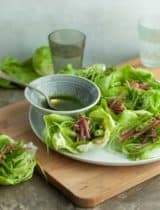 And while super crisp and snappy sugar snap peas make for an excellent snack on their own, they’re also quite delicious in salads. When in season and especially tender I like to prepare them as simply as possible to highlight their fresh sweet flavor. Very little, if anything, really needs to be done to sugar snap peas if you’ve managed to get your hands on some fresh ones. I usually like to just coarsely chop the raw pods or blanch them briefly to retain their bright color and crunch before tossing them into a salad. 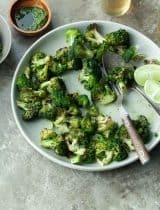 Here I’ve tossed bite-sized pieces with shaved broccoli stalks, nutty toasted sesame oil, black sesame seeds and toasted nori strips for a light and crunchy salad that’s perfect for picnics and parties. 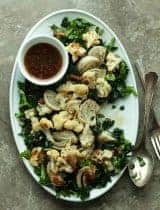 If you often find yourself throwing out your broccoli stalks, save them and make this salad instead! . I’ve made them a regular addition to my salad bowls. 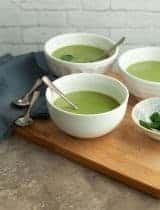 Peeled and thinly sliced, broccoli stalks are actually, mild, crisp and similar to kohlrabi. 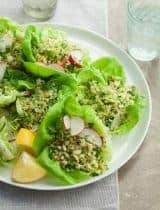 They have the same crunch factor as sugar snap peas and don’t become soggy when dressed which makes them the perfect addition to this sesame snap pea salad. 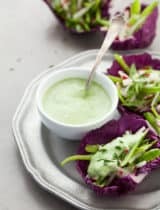 This salad is one of those versatile sides that hold up well at room temperature for hours, making it a natural for outdoor entertaining. 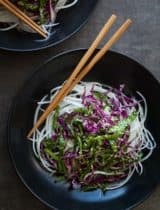 The combination of black sesame seeds and nori strips against the bright green vegetables makes for a nice contrast but if you can’t find the black ones, white ones will do nicely as well. 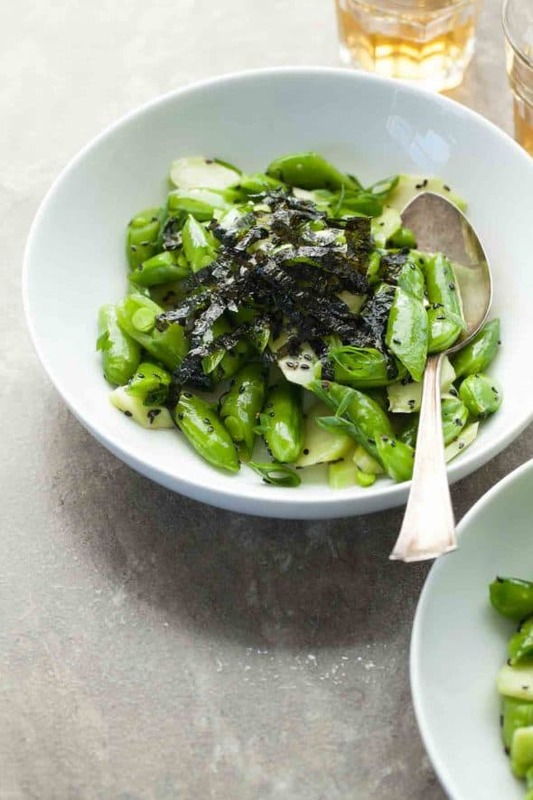 Crisp and snappy with the toasted flavors of sesame and nori, this salad is hard to resist! 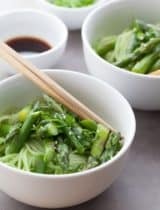 Sesame seeds toasted nori and a drizzle of sesame oil turn fresh sugar snap peas and broccoli stalks into a special side salad. In a large bowl, combine sugar snap peas, sliced broccoli stalks, toasted sesame oil, salt and sesame seeds. Let sit, tossing occasionally for 10-15 minutes. 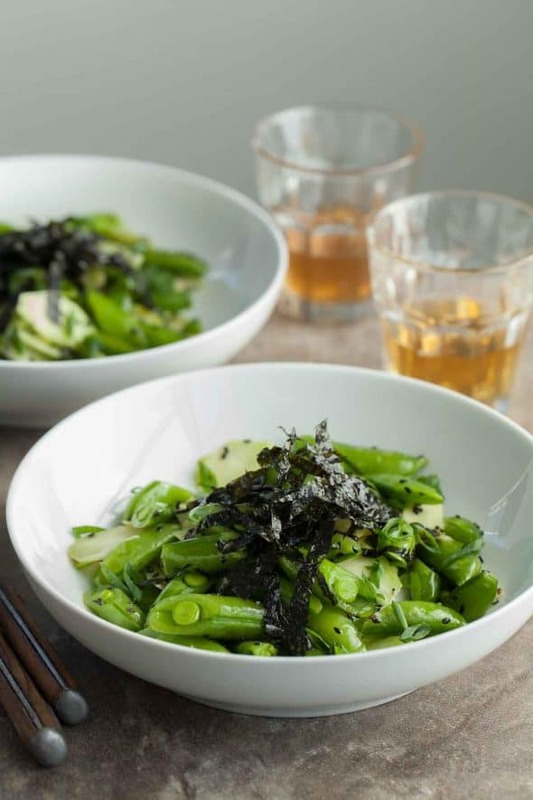 Garnish with sliced green onions and toasted nori strips.